≈ Comments Off on Listen To The Jurors. Fascinating, because what you’re hearing is a conscientious and thoughtful juror attempting to work through the testimony as it is presented. Unsettling, because it is clear that the media along with the force of a popular presumption of guilt also played a role in this case. Commenting on a ‘media circus’ that made her and the other jurors ‘feel like a bug in a glass jar,’ she nonetheless tries to reach a verdict free from that pressure. Whether she and the other jurors succeeded is one of the central questions posed by the documentary, and viewers are able to draw their own conclusions. As I watched it the other night, a few thoughts occurred to me that carry relevance not only for that jury trial, but for most or all jury trials. Fifth Circuit Reiterates ERISA Standard of Review. 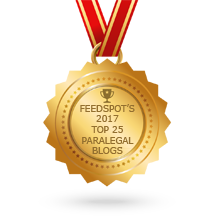 ≈ Comments Off on Fifth Circuit Reiterates ERISA Standard of Review. It apparently bears repeating here that district courts hearing complaints from disappointed ERISA plan members or their beneficiaries for the administrative denial of benefits are not sitting, as they usually are, as courts of first impression. Rather, they are serving in an appellate role. And, their latitude in that capacity is very narrowly restricted by ERISA and its regulations, as interpreted by the courts of appeals and the Supreme Court, including the oft-repeated admonition to affirm the determination of the plan administrator unless it is “arbitrary” or is not supported by at least “substantial evidence”—even if that determination is not supported by a preponderance. We had thought that by now this was understood and accepted by all district judges of this circuit. But, as this case demonstrates that we were wrong, at least as to one of them, we try yet again to drive that message home. McCorkle v. Metropolitan Life Ins. Co., No. 13-30745, slip op. at 6–7 (5th Cir. July 3, 2014) (footnotes omitted, emphasis by the court). The opinion goes on to articulate the abuse-of-discretion standard of review applicable in ERISA cases. For anyone who practices in this area, it’s a must-read. Twitter’s New Policy On Removing Images of The Deceased. ≈ Comments Off on Twitter’s New Policy On Removing Images of The Deceased. ‘In order to respect the wishes of loved ones, Twitter will remove imagery of deceased individuals in certain circumstances,’ Twitter spokesman Nu Wexler said in a message about the update to its policies. 2013 Judicial Writing Manual: A Pocket Guide For Judges. ≈ Comments Off on 2013 Judicial Writing Manual: A Pocket Guide For Judges. Indeed, with so much of today’s writing embedded in the truncated protocols of social media and other “real time” forms of expression, the clarity and persuasive quality the authors of the first edition sought to teach are particularly important for judges’ writing. But the elements of good writing are remarkably constant, and we think that you will find the principles explained so thoughtfully in the first edition no less applicable today. If You Can Stop Your Divorce Client From Doing This, You Get A Prize. ≈ Comments Off on If You Can Stop Your Divorce Client From Doing This, You Get A Prize. “Per Curiam” is a Latin phrase that means “by the court.” It is sometimes used to distinguish an opinion written by the entire court rather than one of the judges. When I worked for a Justice at the Oklahoma Supreme Court, I saw only one “per curiam” opinion handed down by the Court. Courts don’t decide appeals overnight. It usually takes a year or two before the Court renders an appeal. In this one unique situation, a case had languished for an inordinately long time. I will never know why the judge to whom the appeal had been assigned never got around to it. To resolve the situation, the Chief Justice re-assigned the case to another judge, who made this particular appeal a priority. As quickly as possible, he wrote a draft opinion circulated to the rest of the court for consideration. When the opinion was adopted and handed down by the Court, the author written on the opinion itself said “per curiam.” The judge who actually wrote the opinion did not want to be unfairly criticized for the delay. Research Candy! Sabrina Pacifici’s Latest Updated Resource Guide. ≈ Comments Off on Research Candy! Sabrina Pacifici’s Latest Updated Resource Guide. Pro Bono Resource for Immigration Attorneys. ≈ Comments Off on Pro Bono Resource for Immigration Attorneys. International Law: The Supreme Court of the United Kingdom. ≈ Comments Off on International Law: The Supreme Court of the United Kingdom. Yesterday we celebrated the fourth birthday of In Custodia Legis, and today we have reached another milestone: this is the 1,000th blog post that we’ve published! We asked David S. Mao, the Law Librarian of Congress, to write the 1,000th post. In it, he highlights some of the many different areas of interest for the Law Library of Congress, such as legal systems, courts, foreign law, and of course, our collection of current and historical legal materials. On a trip to London in 2012, I walked past the Supreme Court of the United Kingdom located in Parliament Square. Unfortunately, I did not have the opportunity to visit the Court, as it was Sunday and the building was closed. I was, however, able to take a picture of the front doors. Earlier this summer, I visited London again. This time I made sure to visit Parliament Square on a weekday so I was able to visit the Court. While the UK has a long history as a sovereign state, the Supreme Court is a very new entity in the UK. It was created by the Constitutional Reform Act of 2005, with the Justices of the Supreme Court sitting for the first time in October 2009. The Court hears civil appeals from all parts of the UK, and criminal appeals from England, Wales, and Northern Ireland. I’ll leave it to Clare to explain the intricacies of the Court’s jurisdiction. . . .
Can Your Witness Stand Up To Cross-Examination? ≈ Comments Off on Can Your Witness Stand Up To Cross-Examination? A good witness should not see cross-examination as an argument, but neither should that witness see it as a time to be agreeable and passive with opposing counsel. Because the inherent conflict of cross piques the jurors’ interest, it can be a critical time. The two sides are in direct conflict and the jury has the ability to decide first-hand who seems to be winning at that moment. Given the stakes, it is too dangerous for a witness to just be led along by opposing counsel, comforting themselves with the knowledge that, ‘Well, at least I got to tell my side in direct,’ or, ‘My own attorney will give me a chance to fix all of this in redirect.’ Both are valid comforts, but effective direct and redirect will never completely erase the perceptual losses that can occur in cross. Substantively, the problem might be fixed, but jurors will still remember those moments where the witness looked weak, and that cannot help but influence their perception of your case and of the witness’s credibility. The way I’ve explained it before is that cross-examination is, for the witness, a polite struggle. ‘Polite’ because the witness can’t afford to come off as too combative or uncooperative — ‘I’m just here to tell the truth…’ should be the tone. But ‘struggle,’ because there is a skilled advocate at the lectern whose job is to, at least for the moment, support his story and not yours. A good witness needs to work against that purpose. Like any advice, the message to fight back’ can be taken too far, or not far enough. It is a matter of balance and practice, and it clearly helps to get feedback during a prep session or two to make sure the communication is assertive but not aggressive. With these considerations in mind, here are ten ways witnesses can maintain their own power while being cross-examined. . . .